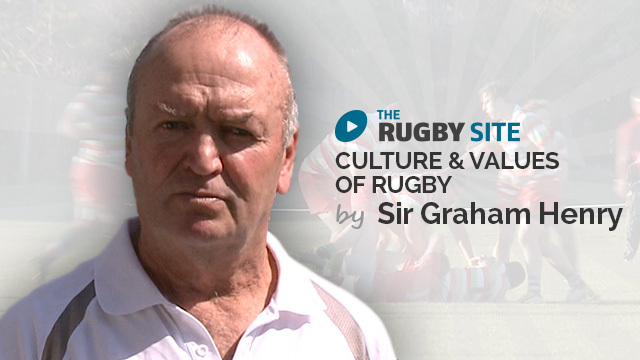 Hear from one of rugby's best coaches talk about tackling & team culture. We wanted to get Ted's thoughts around tackling. He is the most successful rugby coach on the face of the planet. Ever. Who better to share his insight into how and what you should coach players in the tackle. Enjoy! I am very passionate about Rugby and life. I do my best to spread the word about the culture of Rugby. Most people who have never experienced it simply look at me as if I have gone mad or have six ears. It is wonderful to hear the passion of Sir Graham Henry and the other coaches who dedicate themselves to the growth of the sport. Great balance of humour and candid advice. A video that can demonstrate to each team and coach the basis of a good setup. It also highlights that this is a journey that can not be done alone. Well done. subtitulos en español por favor!!! Great to hear about tackle progression through the agegroups. Also interesting to hear how an elite team spends their time on this. Liked the mental aspect of it all too! From this level it’s all about basics, patience, and enjoyment. Great insight into thoughts about tackling.